MOSCOW: The Russian petrochemical industry has opposed the proposed ban on imports and production of plastic bags in the country. The country’s Union of Chemists called upon the government not to go ahead with the ban. The Union demanded blocking of free distribution of plastic bags by shopping centers. 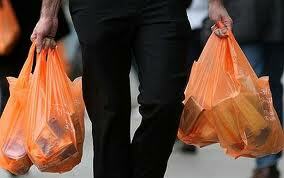 It wants the government to increase the price of plastic bags and reduce the price of paper bags simultaneously. The Union in an open letter to the Ministry of Natural Resources strongly opposed the proposal saying that any such decision would have serious implications on the plastic manufacturers and the entire petrochemical industry. Accoeding to estimates, the plastic consumption in the capital city of Moscow alone amounts to more than 100,000 tonnes. Over 30% of the plastics end up in landfills. Russia’s waste recycling rate is just under 20%, much lower than many other countries of the world. The Union urged the Government to make more investment in efficient recycling of plastics and better waste disposal mechanisms. The proposal which was first introduced in 2009 was turned down following strong opposition by the retail outlets across the country. The new proposal would come before the Russian Government in three months time for final endorsement.